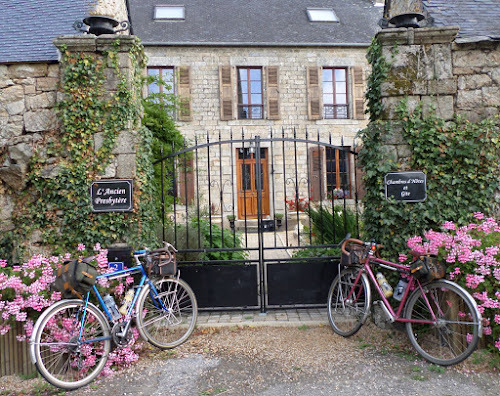 Moving on from these inexact financial allegories, the place we do keep coming back to is the Ancien Presbytère at Lescouet–Gouarec, an old granite vicarage, lovingly restored and operated as a chambre d’hôte with attached gîte, by Pete and Keith. And let’s face it, who wouldn’t want to stay here . . .
Now this year, as you already know if you’ve been paying attention, the SBCC were staying nearby at Huelgoat, surviving solely on spaghetti bolognese and omelette from Le Brittany Pub. 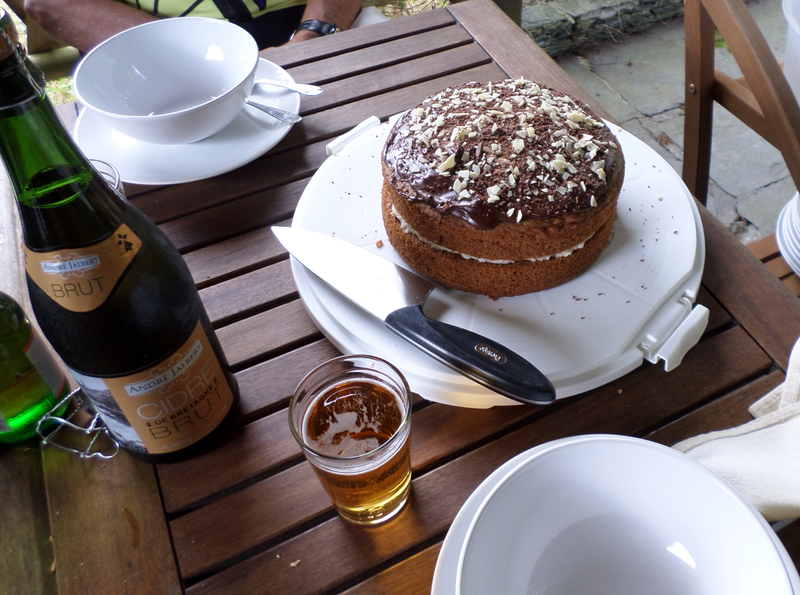 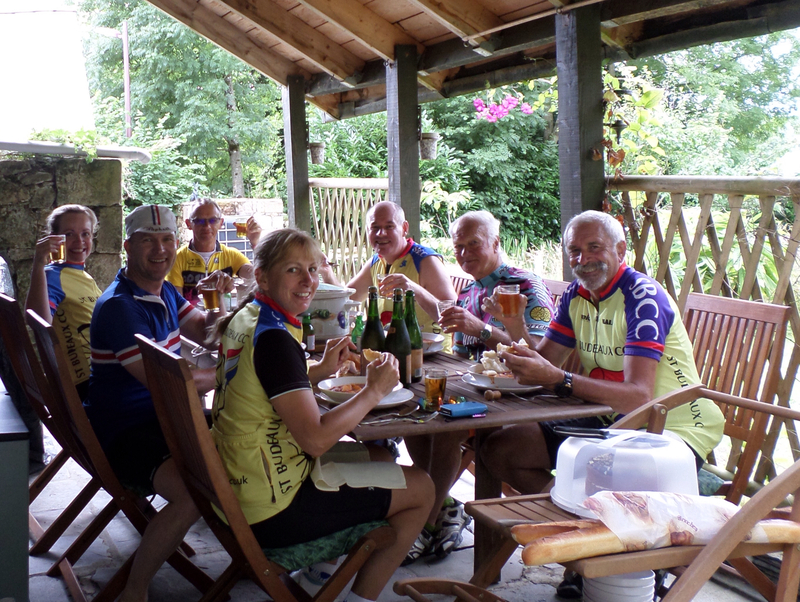 So, taking pity, we invited them around for lunch – and if there’s one thing guaranteed to tempt the average cyclist on a round trip of 70 odd miles it’s the offer of a slap up meal and cidre. 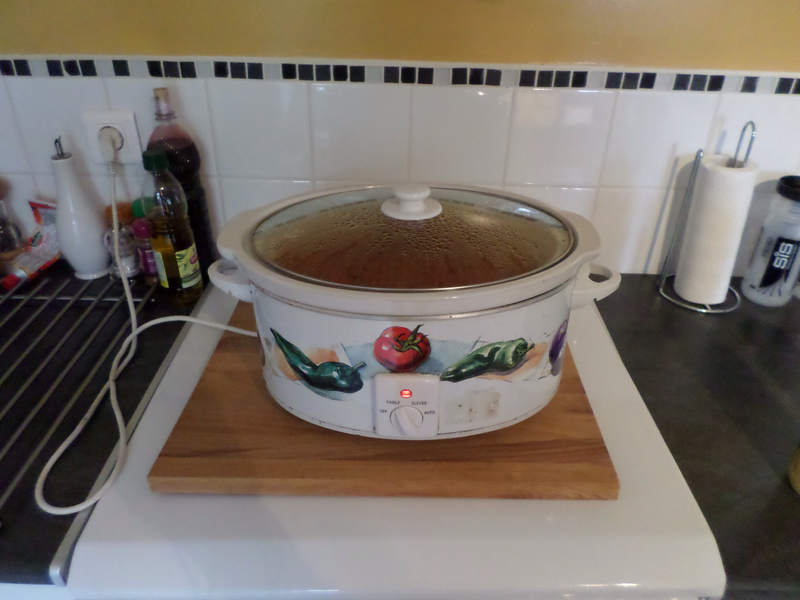 “What are you cooking?” S says, “‘I’ll do dessert” . . . 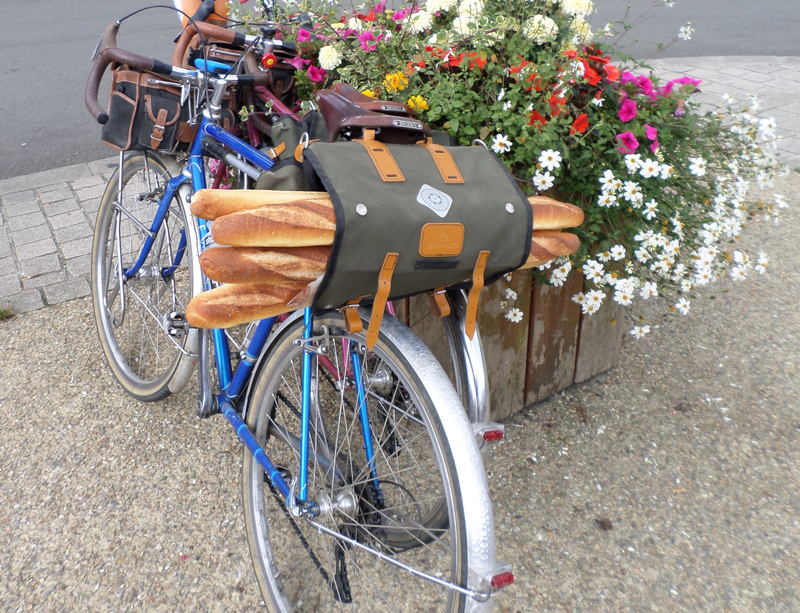 So, leaving the stew to marinate, we set off the next morning to meet our lunch guests at Rostrenen and pilot them in, so to speak, plus pick up a few extra bits and pieces from the local boulangerie – not, I hasten to add, the automated baguetterie described yesterday . . .
On the stroke of twelve, as we reclined at a pavement café enjoying the inevitable café au lait, our guests arrived to be led back up the hill to lunch – myself weighted down by bread it must be said, though perhaps the two bottles of red wine in the depths of the Carradice did not help.